Two-man recording duo Good Morning are undoubtedly masters of understated, dreamy psychedelia. Their music oozes warmth and is filled with luscious sounds without being cluttered, each new sound wriggling its way in at a lazy pace and wandering off without making a big deal of itself. 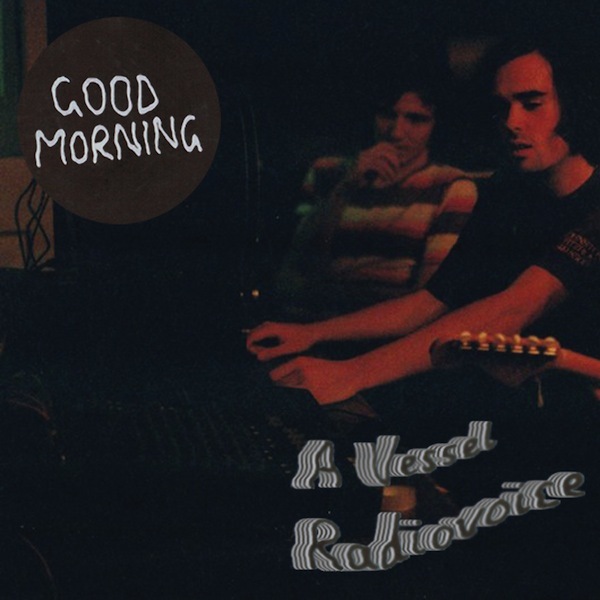 Their latest release, the two-track A Vessel / Radiovoice, exhibits their tasteful sonic expertise and a late night, restrained grooviness. 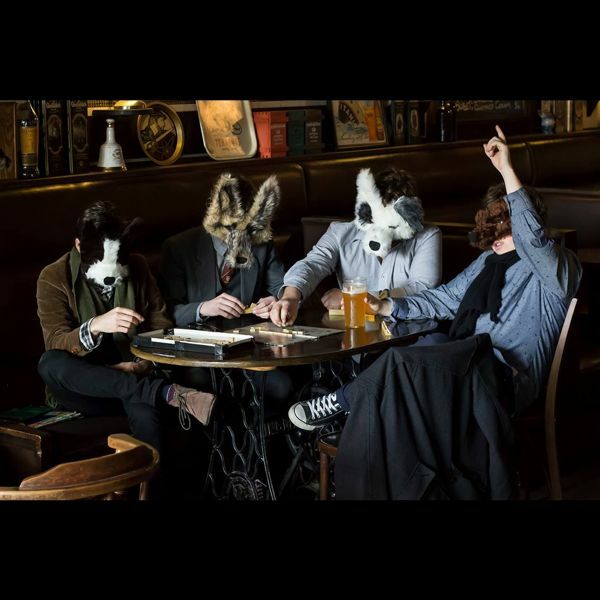 ‘A Vessel’ offers a beautiful lope, with scatterbrained guitars backing at times indiscernible vocals. ‘Radiovoice’ is reminiscent of a lost Sparklehorse track, complete with soft synth lines and fragile vocals. Both tracks opiated and enveloping, Blair and Parsons are certainly aiming to get you zoned. Both tracks will feature on the first half of an upcoming vinyl release on Solitaire Recordings. Sunbeam Sound Machine, the moniker of melodic psych wunderkind and WTH favourite Nick Sowersby returns to our attention with an overwhelmingly colourful video for ‘Wandering, I’. The track’s moody tone is countered by footage washed in over-saturated sherbet pink and green. Sowersby’s glowering mug and performance footage invites us into his hazy musings, presented with VHS warping and pulsating between frames of static. A beautiful, brief piece of mind-manifesting pop which may evoke repressed 90s memories of popping your favourite tape in the VCR only to realise its been ravaged and rendered useless by time. And Disney told you that only happened to pirates…. ‘Wandering, I’ features on SSM’s album Wonderer, available both digitally and for vinyl order from Bandcamp. Silicon is the latest musical incarnation of psych multi-instrumentalist madman, Kody Nielson. Following an instrumental solo release and an unsettlingly lengthy period of inactivity, Nielson returns to the world of pop for weirdos previously he touched on with Opossom. The first release under his moniker Silicon, ‘God Emoji’ hears Nielson venture his ever-present love of vocoders to icy new depths to the tune of lush mid-tempo future funk. Teetering between reverential and remorseful, Nielson creates a sound not unlike a robotic reconstruction of a 70s disco track. While the tune is more of a head-nodder than a dancefloor filler, its syncopated stabs of vocals are no doubt catchy and provide plenty to love. 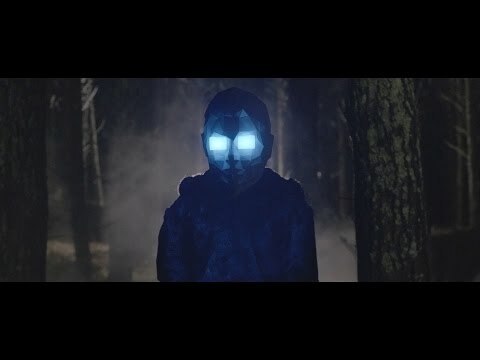 The subsequently music video sees the blank-faced, blue eyed vector mask which was recently featured at the project’s debut shows. The debut album from Silicon will be out later this year through Weird World. Ha the Unclear, a set of Dunedinites formerly known as Brown, specialise in a densely worded style of alt-pop with a distinct southern drawl. Led by Michael Cathro’s unique vocals and sharp, dark wit, the band are unlike any band you’ve heard before. They weave hilarious tales of anxiety and frustration, give intimate emotion to inanimate objects and raise questions about religion and morality within almost a single breath. Cathro’s lead is complemented perfectly by lush backing vocals and a seemingly endless supply of hooks. The songs have a great sense of restraint that anticipates a glorious grand release – most notably on album closer ‘Mortality (A Million Years Ago)’. Ha the Unclear have just released the lyric video for ‘Secret Lives of Furniture’, which you can check out below. Their new album, Bacterium, Look at Your Motor Go, is full of hooks and quirks. Get it right now on Bandcamp. The Emilys – the very new side project by Mark Turner of the Eversons – are a ‘cartoon band’, featuring illustrations and animation from Ian and Rebecca Hart. Their first release is the video for ‘Play It Cool‘, a story following lead singer Shelley, who does almost anything but. I need very little encouragement to get excited about anything related to the Eversons, and their defiantly happy music combined with a predilection for suicidal characters makes the transition easy. And, really, I need even less encouragement to get excited about a band of cartoon characters from New Zealand. With all that and a sound like the Cars getting into wacky vocal effects, what’s not to love? More music (and plotlines!) are promised from the band very soon, and you can read all about the members over at their Tumblr. They Emilys are playing their FREE debut show with support from the Eversons this Saturday, 29 November, at Portland Public House in Auckland. If you slapped awake an early 2000s ‘indie’ band at 3am and forced them to play under duress, you may end up with something sounding like New Gum Sarn. 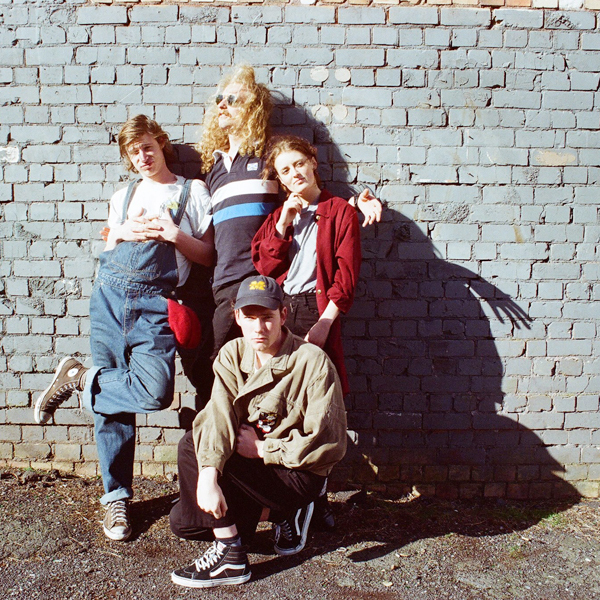 Beautifully untidy but never sloppy, their track ‘Bad Soy’ is like a pop-song turned hazy comedown. Split in two right down the middle, the catchy low key vocals of the first half are countered by a second half where the band’s guitarists are set free to jam to their heart’s content. The accompanying video features disembodied hands caressing faces, half-hearted acrobatics and a healthy dose of general weird. ‘Bad Soy’ is one of two tracks released from the band’s album, which so far remains detailed only as forthcoming. Hear more at New Gum Sarn’s Bandcamp. Dictaphone Blues is the bedroom project turned full band project of Edward Castellow, Auckland’s favourite southern adoptee. A new release is a reason to get excited, as Ed has managed to put out some of the most consistently righteous fuzzed-out guitar pop you’d be likely to find this side of your cool uncle’s record collection. Two albums on, Dictaphone Blues’ next album Mufti Day looks like it’ll go bigger and more ambitious than its predecessors. Following on from lead single ‘Her Heart Breaks Like a Wave‘, heralding the release of Mufti Day is ‘365’, a catchy duet featuring guest vocals from Emily Edrosa (who also recently released an excellent EP). Under the guise of an upbeat summer jam the track escalates rapidly from themes of obsession to imaginary intrusion before a final meltdown. Mufti Day is out on the 5th of December. The band will embark on national tour of New Zealand next month.